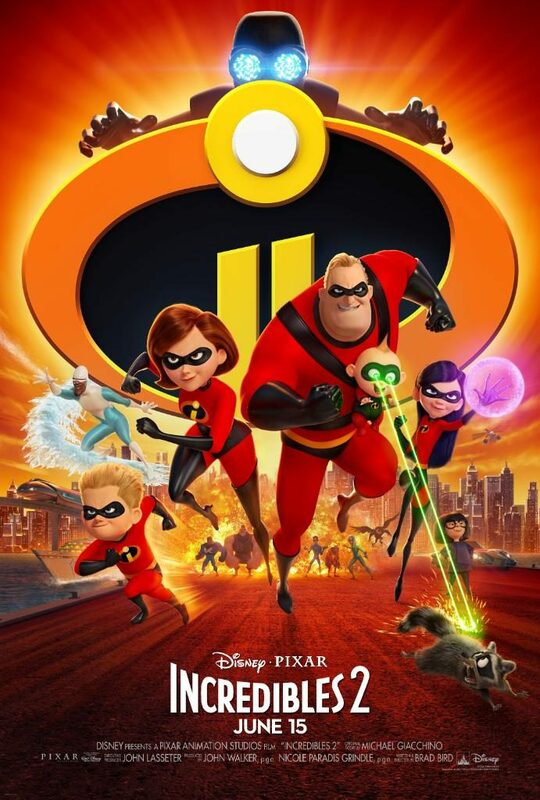 Everyone’s favorite family of superheroes is back in “Incredibles 2”–but this time Helen (voice of Holly Hunter) is in the spotlight, leaving Bob (voice of Craig T. Nelson) at home with Violet (voice of Sarah Vowell) and Dash (voice of Huck Milner) to navigate the day-to-day heroics of “normal” life. When a new villain hatches a brilliant and dangerous plot, the family and Frozone (voice of Samuel L. Jackson) must find a way to work together again–which is easier said than done, even when they’re all Incredible. Interesting , easy to follow story line. The plot of the movie was too predictable. The movie lacked depth , it flat at times. After waiting for 14 years for the sequel to 2004’s hit animated superhero movie ‘The Incredibles‘, many, including myself, were skeptical whether it would live up to the hype that has been built around it. This is the rare sequel that lives up to everyone’s massive expectations and delivers as much of the joy, and adventure as the original. Whether you have watched the original Incredibles movie or not you will be able to follow this one as the characters are cleverly introduced to new viewers. The story , though predictable , is fun and action packed. Having Elastigirl in the forefront was a great choice. Showing the many challenges involved with balancing work and home, even when you have superpowers. The way Elastigirl worries and feels guilty about missing on her childrens’ lives is as relatable and believable as Mr. Incredible’s frustration while trying to help out his son Dash’s math homework. As the saying goes, it’s funny because it’s true. Incredibles 2 is a movie the whole family can enjoy. The subject matter dealt with is light and easily understandable for younger viewers, while also being intriguing enough for older viewers.